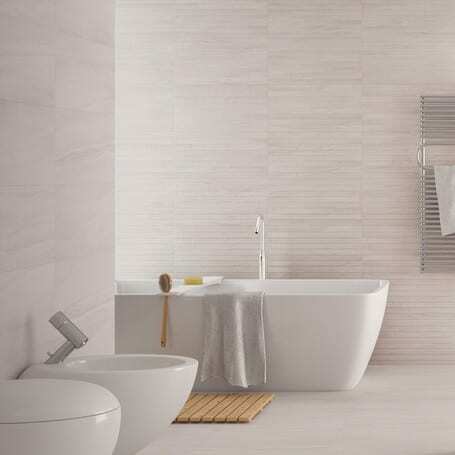 Realistic natural stone effect wall and floor tile in a manageable size for both small and large areas. 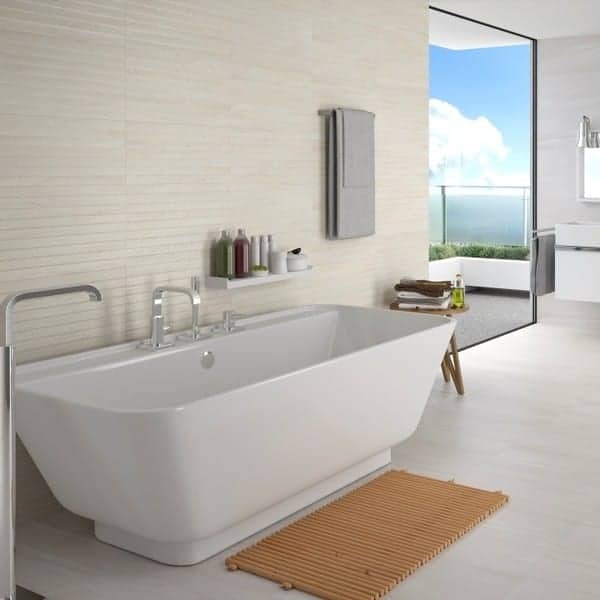 Suitable for bathrooms, kitchens, hallways and most living areas as well as commercial settings. 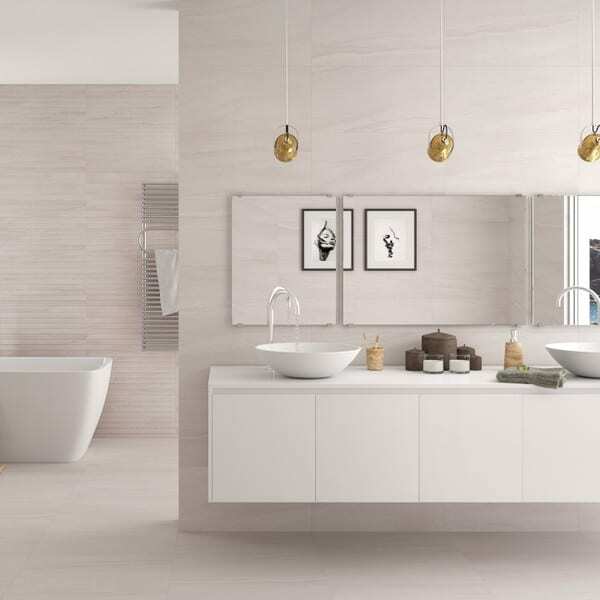 This 300×610 porcelain matt tile also offers a decor option to create a separate feature or to coordinate with the plain. Reval is available in perla or natural.